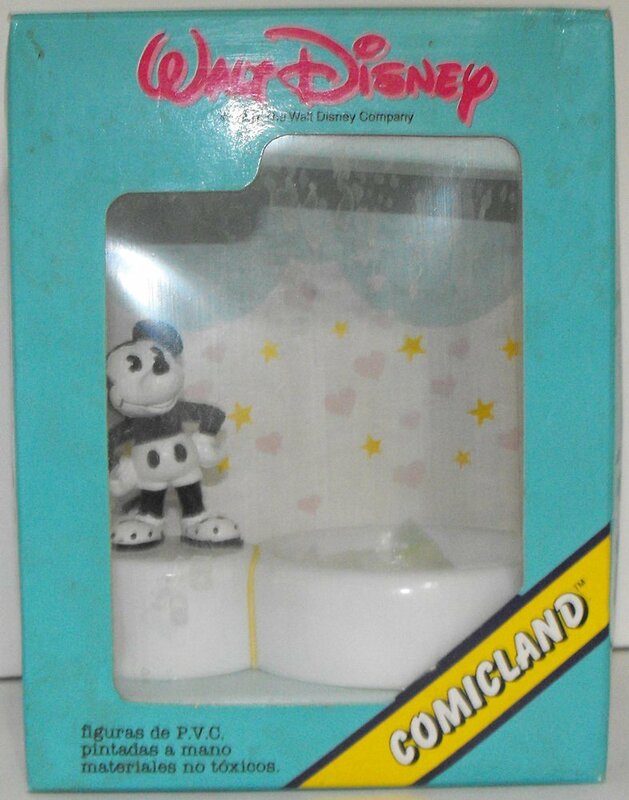 Black and White Mickey Mouse Figurine Paperclip Holder. The figure on the pedistal is about 4 inches tall and made of plastic. Comes with heart shaped paperclips.